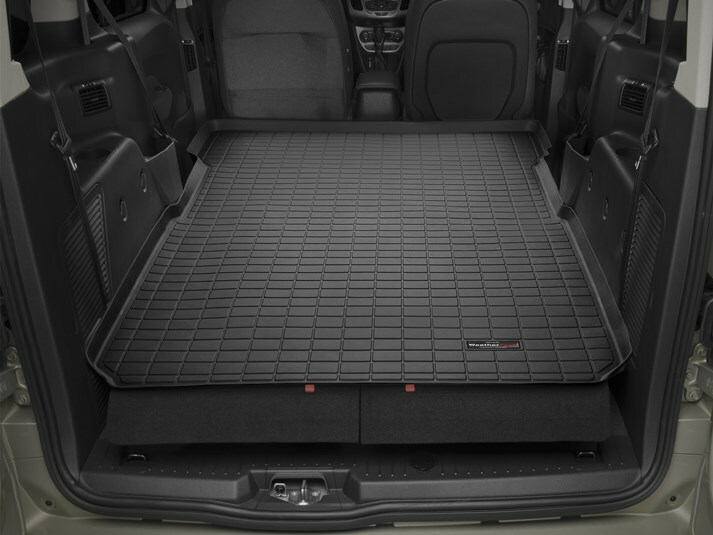 2014 - 2019 Ford Transit Connect Wagon Cargo Liner - Fits Long Wheelbase Wagon only. Fits behind first row of seats. Color: Black. note: For cargo mat that fits behind the first row of seats, the 3rd row seating must be adjusted as far as possible towards the back of the vehicle for the Liner to be installed and used properly.